KASA Restaurant and Bar. My Experience. 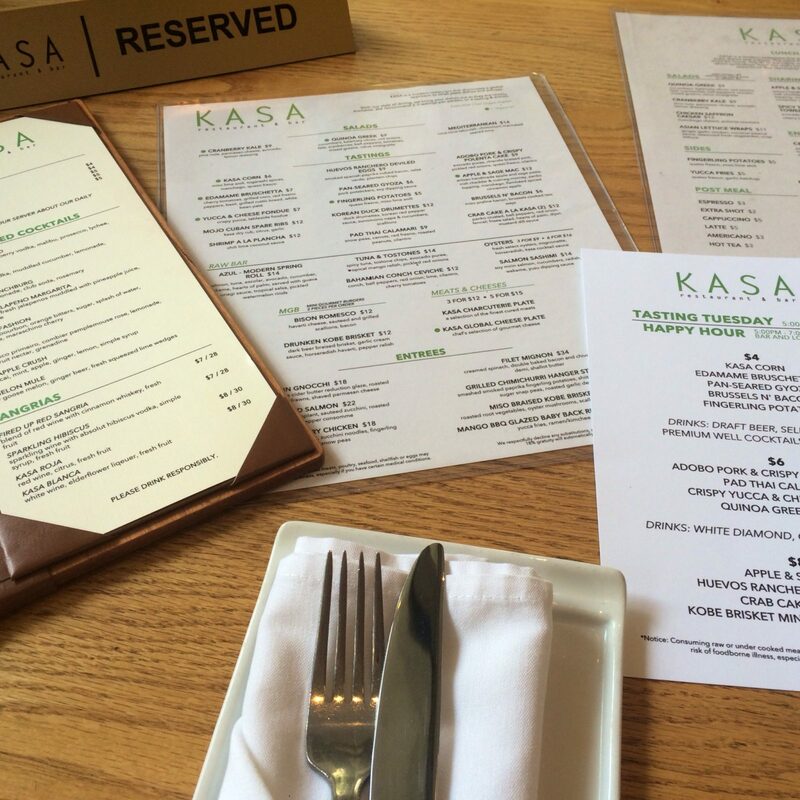 In the heart of downtown Orlando, Florida lies a trendy, innovative restaurant by the name of KASA Restaurant and Bar. 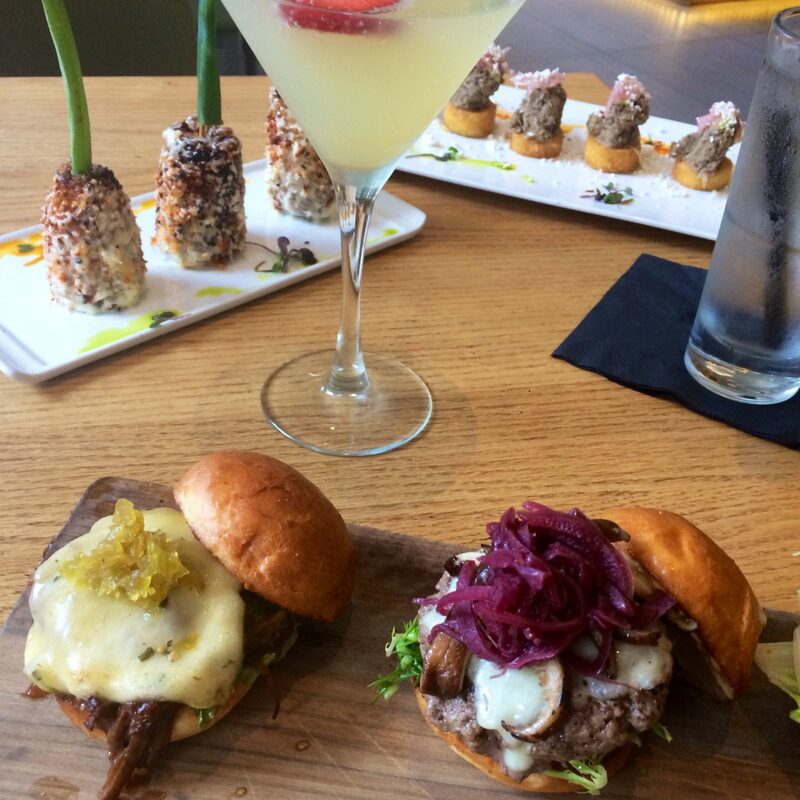 They serve diverse small plates with a global influence, in a contemporary yet comfortable atmosphere. A group of friendly staff greeted me at the door, and like I said earlier, the atmosphere is very comfortable, cool yet chic. The Executive Chef, Shawn Kaplan, definitely raises the bar in the downtown Orlando dining scene, with dishes that satisfy all of the senses. Not to mention, everything he creates is a work of art. I was especially impressed with his take on Adobo Pork with Crispy Polenta Cakes and one of the most popular items Kasa Corn. How one makes corn look so mouth-watering and delicious, I’m not sure, but he manages to do it. The top-notch dishes that I sampled were the Drunken Kobe Brisket, the Filet Burger, the Jumbo Lump Crab BLT, the Adobo Pork and Polenta Cakes and the famous Kasa Corn. 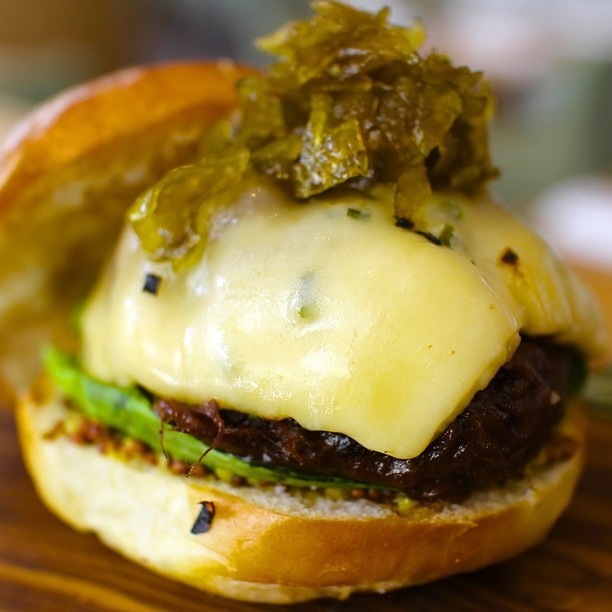 The Filet Burger is one of the new items currently out and honestly what could be bad about it? A demi aioli, red wine braised onions, grilled shitake mushrooms, Gruyere cheese, a little frisee for a bit of crunch… I’m drooling just thinking about it. David, one of the owners told me that Kasa Corn is one of their top sellers, so of course I had to try it. I would compare this to Mexican Street Corn… just 100 times better. Miso lime aioli, queso fresco, manchego and spices are grilled onto this corn, and it’s kind of one of those… “you have to try it to understand” dishes. The Adobo Pork and Polenta Cakes have this amazing flavor I can’t really explain. This dish has the spice of the chipotle-braised pork, but yet the creaminess of the avocado puree and queso fresco. Plus there is a fried polenta cake on the bottom. Again, what could be bad? It’s hard to impress me with crab cakes, I guess it’s the New Englander in me. Well KASA did it with their take on the Crab Cake BLT. Jumbo lump crab, miso lime aioli, topped with bacon, lettuce and tomato. I could had probably ate three of these! Last but not least, the Drunken Kobe Brisket. One word… Mouthwatering. The meat was so tender and full of spices, and my favorite part was the whole grain mustard and horseradish havarti that really kicked it up a notch. Call me a cocktail snob, but I tend to cringe when my drinks aren’t mixed correctly. The bar at KASA is large, and could perfectly accommodate larger parties. My drinks were mixed to perfection and The White Diamond cocktail is spectacular. Many of you already know I have a sweet tooth, so this drink was totally perfect for TPH. Strawberry vodka, Malibu, a little bubbly, and a few other sweet sips are combined for a cocktail that would totally make GNO (girls night out)! Maybe it’s the foodie in me but I think it’s fabulous that the menu here changes with the season and with what istrending. There are so many different items on the menu to try that I highly recommend you go with a few people, just so you can try a bite of everything. Another reason why I love KASA is because of its affordable prices. Not only that, they have specials throughout the week. On Tasting Tuesday, they have items from the tasting menu for a discounted price and yes; KasaCorn is one of the items! 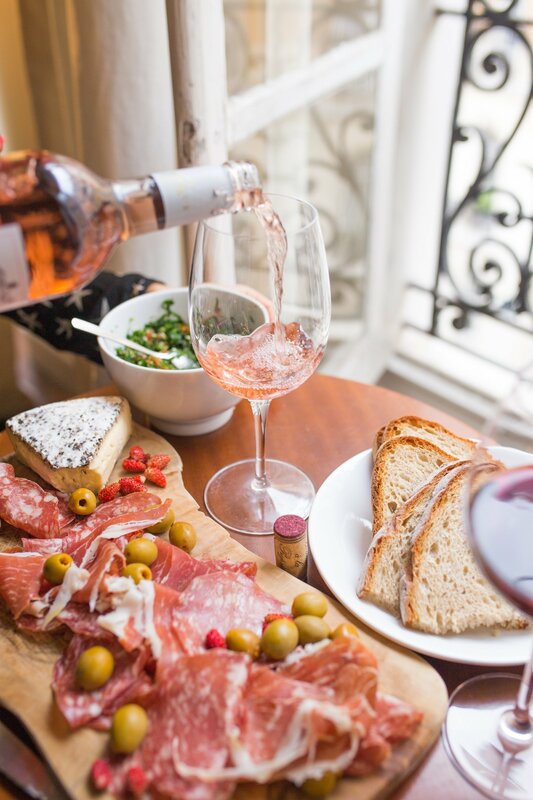 Come mid week for Unwine’d Wednesdays, where they serve all you can drink wine, beer, and bites from 5 PM to 9 PM. And nurse that Sunday morning hangover with some Bubbles N’ Brunch from 11 AM to 4 PM. Nothing cures a hangover more effectively than bottomless mimosas or Kasa Roja Sangria! If you’re in the Orlando area it’s definitely worth a trip to KASA. There wide range of menu items are perfect for a crowd with a variety of different tastes, not to mention the small tasting portions are great for those who want a little bite of everything. It’s at the top of my Orlando go-to restaurants, and I’m sure once you try it, it will also be on yours. A special thank you to David Yu, Chef Shawn Kaplan, Ariane Hernandez and the rest of the KASA staff!